Thailand's Election Commission on Wednesday set March 24 as the date for the country's long-awaited general election, one month later than an earlier schedule of Feb. 24. 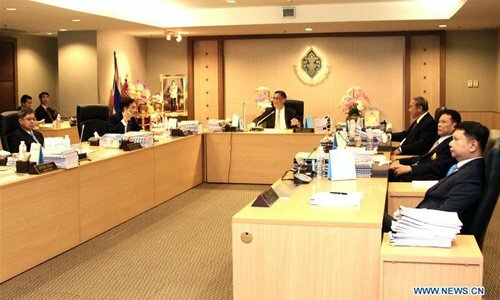 The decision was made after a royal decree for the election, approved by King Maha Vajiralongkorn, was promulgated in the Royal Gazette hours earlier on Wednesday. Candidates can apply either on basis of individual constituency or party-listed mode from Feb. 4-8, said Election Commission chief Ittiporn Boonpracong. The election date and the period of time for candidacy application are yet to be officially announced in the Royal Gazette. According to the constitution's organic law pertaining to the election, the election is bound to be held no sooner than 45 days and no later than 60 days after the royal decree was promulgated in the Royal Gazette.